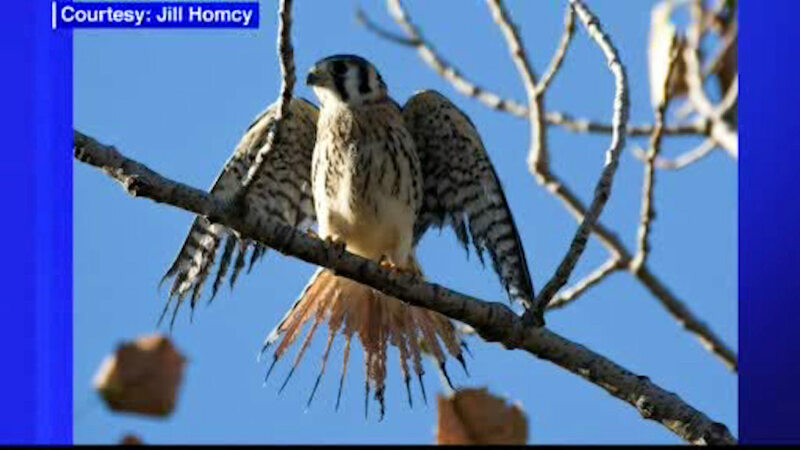 NEW JERSEY (WABC) -- Birds with burnt tail feathers and wings are turning up near the Meadowlands and animal experts suspect the New Jersey landfills are to blame. Don Torino, President of the Bergen County Audubon Society, says that methane from old landfills is sending dangerously hot gases into the air and harming birds. "It's almost invisible at times, it burns at 1,700 degrees, and they are flying through it getting their wings injured, their tail feathers injured, and that prevents them from hunting, even though some it may not initially kill, eventually it will," Torino said. The New Jersey Sports and Exhibition Authority says it is working with government agencies to find a solution. They said in a statement in part, "Be assured that the NJSEA has been in repeated contact with the U.S. Fish and Wildlife Service since we were alerted to the concern to find the most effective and appropriate plan of action for the issue at hand. We also communicated with the NJ Department of Environmental Protection earlier this year and again this week. While we have not yet developed the long-term solution, the Authority is investigating interim steps together with these federal and state agencies. In addition, the NJSEA hopes to negotiate a contract with a company for methane collection that would result in the elimination of the need for a flare at the Kingsland Landfill." If an endangered bird is harmed or killed from the methane, there could be a steep fine.